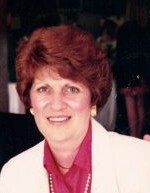 Sharon Eleanor Ruffert-Erlichman, 76, of Pemberville, passed away unexpectedly on Sunday, March 31, 2019. She was born November 12, 1942 to Marvin Henry and Eleanor Gertrude (Baehr) Kinsel in Toledo. She was a 1960 graduate of Waite High School. In November 1963, she married David Ruffert. She enjoyed fishing, making pottery, teaching crafts, and traveling. Sharon fostered 23 children, attended college for business, worked at Davis-Besse in the technology department and as a Circulation Manager for the Popular Culture Press at BGSU. Sharon is survived by her husband, Donald John Ehrlichman; daughter, Tami (Robert) O’Neil; step-daughter, Erica Ehrlichman-Esquire; grandchildren, Mitchell (Maggie), Blake (Hannah), Matt (Casandra); step-grandchildren, Colin Murphy, Morgan, Marielle, Hannah, Ben; great-grandchildren, Maxwell, Marla; three step-great-grandchildren; sister, Kay Ozanski, and sister-in-law, Dorothy Dale Williams. Family and friends may visit the Freck Funeral Chapel, 1155 S. Wynn Rd in Oregon on Saturday, April 6, 2019, from 12-2 p.m. with the funeral to begin at 2 p.m. Burial will follow at Troy Twp. Cemetery. In lieu of flowers, the family asks you to consider Mimi's Memorial, a trust at Fifth-Third Bank that has been established for her great-grandchildren Max and Marla O'Neil, or the Make-A-Wish Foundation.